How Important Is Being Visible Online? 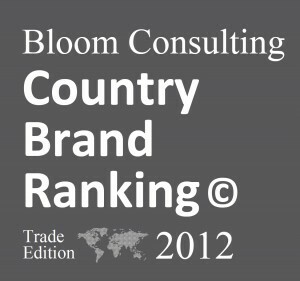 The 2012 Bloom Consulting Country Brand Ranking Report is now available (click image). This year, Bloom Consulting has added a new feature in their algorithm that evaluates how well positioned countries are in the biggest search engines. I think this is an interesting and important development. It recognizes the growing importance of the interactive media as an information source to help capital investors create a short list of viable location options to take into the due diligence phase of the site selection process. Just how important is it for your community (or Nation) to be visible online? 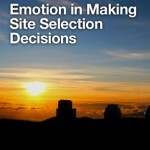 DCI conducts a market research study in the U.S. that looks at how site selection decisions are made. 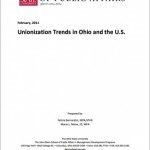 Their latest report indicates that 76% of the time a short list of location options is determined without ever speaking to an economic development professional. If you want your location to be selected for the short list, it is imperative it can be easily found and evaluated online. I predict, that in the future the importance will increase, not decrease. 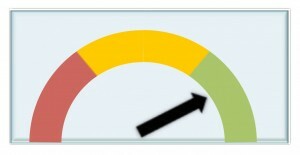 And, we will see the development of new, interactive online tools to help make the evaluation process even easier. You only have to look at the changes in the way people evaluate home purchase options in the real estate industry to get a sense for the type of changes we will likely see in site selection evaluation. To stimulate your imagination, you might enjoy my post on Virtual FAM Tours. It is one example of how to leverage the shift to online assessment of locations. In the future, the most successful communities (nations) will be those with a quality business environment and effective online branding capability. As I say in this post, If you want to win it, you’ll need to be in it. The 2012 Country Brand Ranking Report top 10 list is interesting. The United States is again ranked #1. But, it has a CBS rating of BBB. The CBS rating reflects how well a country’s brand strategy is communicating what investors are seeking. A BBB rating equates to “Very Good”. But there are three higher ratings (A, AA, AAA). Luxembourg is ranked #2 and has a CBI of AA, the UK is ranked #4 with a CBS of A, and France is ranked #5 with a CBS of AAA. As additional perspective, China earned the same CBI rating of BBB as the United States (ouch!). Consequently, while a #1 ranking is good for the United States, there is clearly room for improvement in the nation’s branding. One observation of the Report authors is that strong FDI numbers significantly helped a number of countries improve their overall ranking. This is another area where the United States can do a better job. It also underlines the importance of the work being done by SelectUSA. What Makes The Bloom Consulting Ranking Unique? 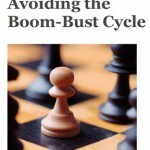 For me, the other difference is the involvement of Jose Filipe Torres, founder of Bloom Consulting. Jose is a renowned expert in the field of place branding. I think Bloom Consulting is doing some groundbreaking work in bringing metrics to the world of place branding. The Country Brand Ranking Report is certainly one that should be a “must read” for all economic development professionals and anybody else interested in the global competition for capital investment. Bloom Consulting also produces a country ranking report for tourism. You can find the entire set of their 2012 ranking reports at this LINK. Here is a link to a few other rankings I track – LINK. Combined they help provide a reasonable picture of reality. The one branding point I disagree with Bloom Consulting on is the inevitable failure of a single “umbrella” promise for a nation. They believe “It is impossible to communicate entertainment to investors and simultaneously communicate a qualified and hardworking workforce to tourists.” I tend to believe the principles of a branded house can be reapplied in place branding. And, that by failing to recognize the business executive as a tourist you leave a major opportunity to create positive brand equity on the table. In fact, I would like to see more collaboration between SelectUSA and BrandUSA in this area. To better understand my perspective, read my post “Don’t Confuse Brand Promise And An Advertising Campaign”. While how you articulate the benefits of the promise varies by target audience, the core promise should be the same. I also want to call out the work Bloom Consulting has done in helping create the Country Brand Academy. This is a novel educational experience that provides access to internationally recognized professionals, academics and thought leaders in the field of place branding. This is a great example of giving back to the profession and one example of why Bloom Consulting is a globally respected company.